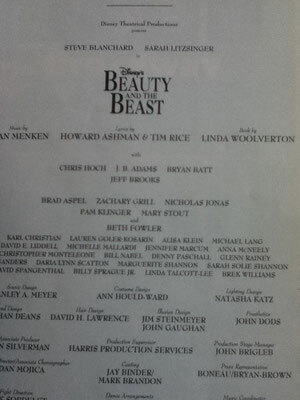 BEAUTY AND THE BEAST - NJB JimdoPage! 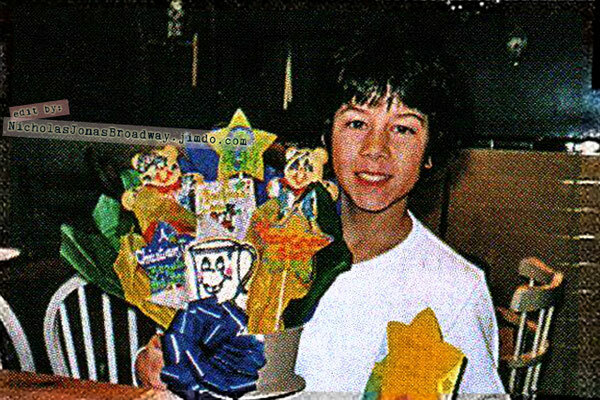 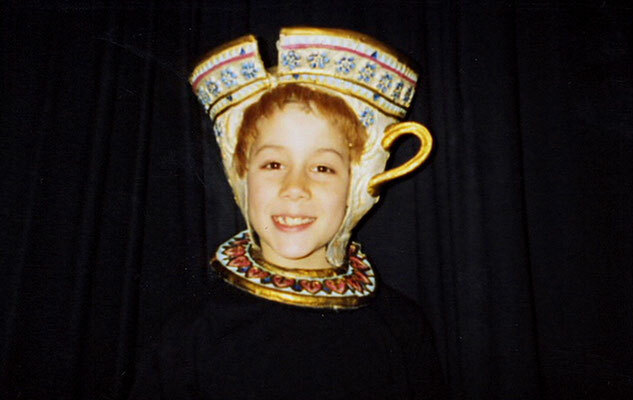 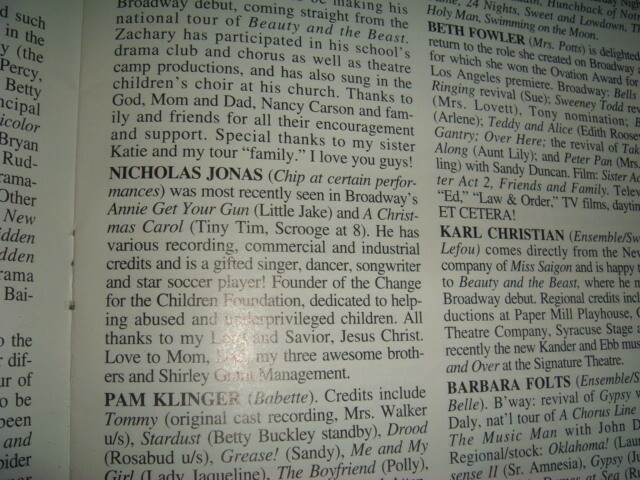 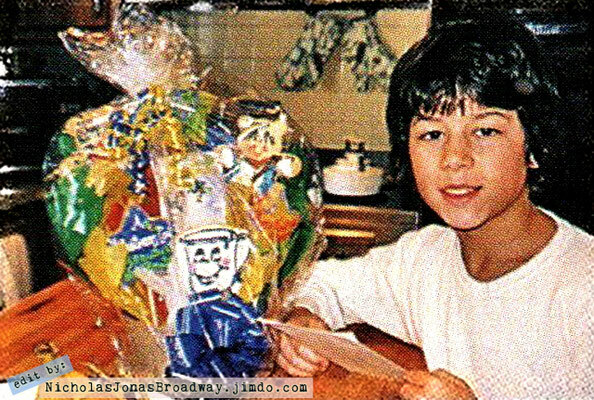 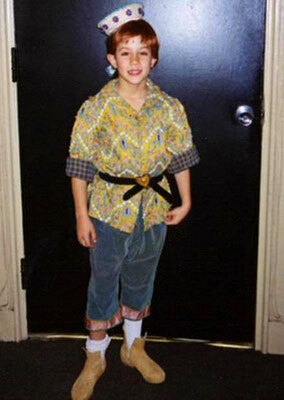 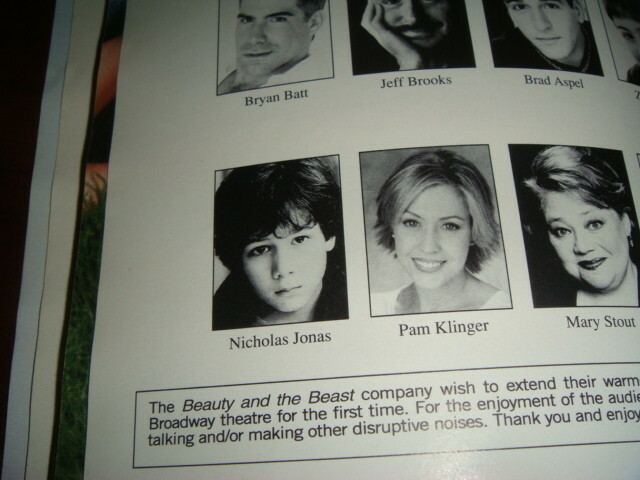 Nicholas Jonas as the show-stealing tea cup in Disney's Beauty and the Beast. 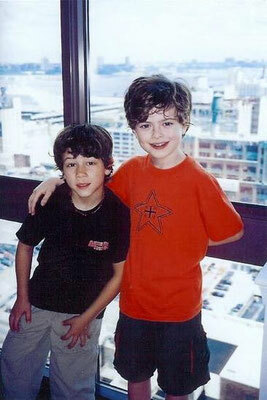 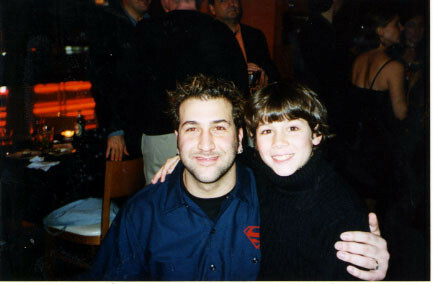 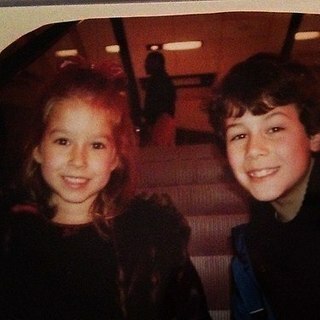 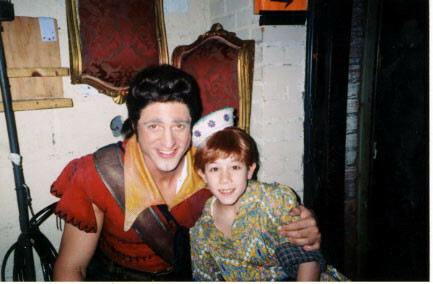 Nick took over the role of Chip from Harrison Chad in November 2001 and was in the show until around November of 2002. 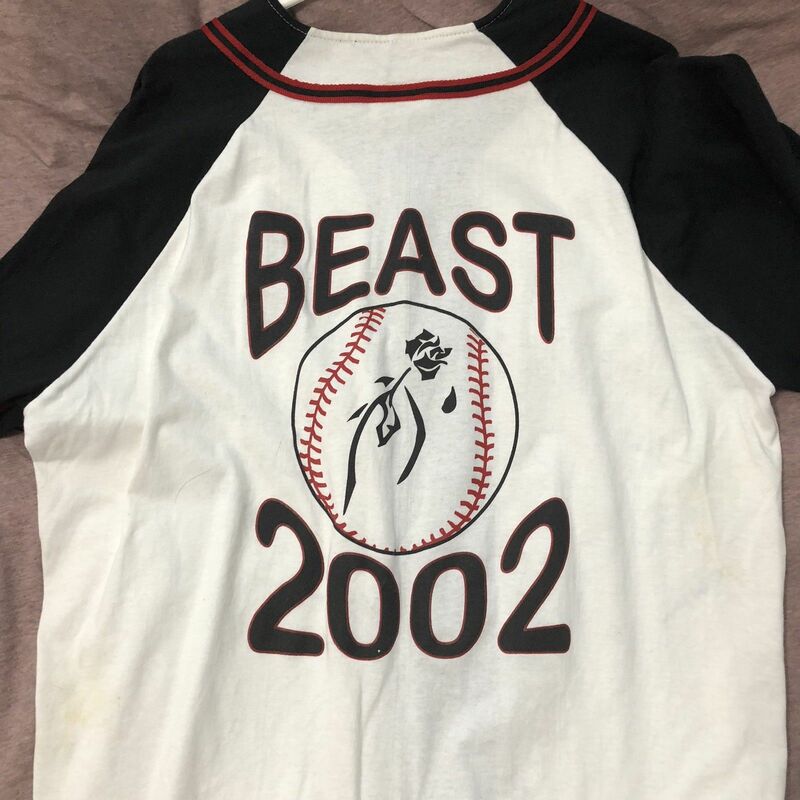 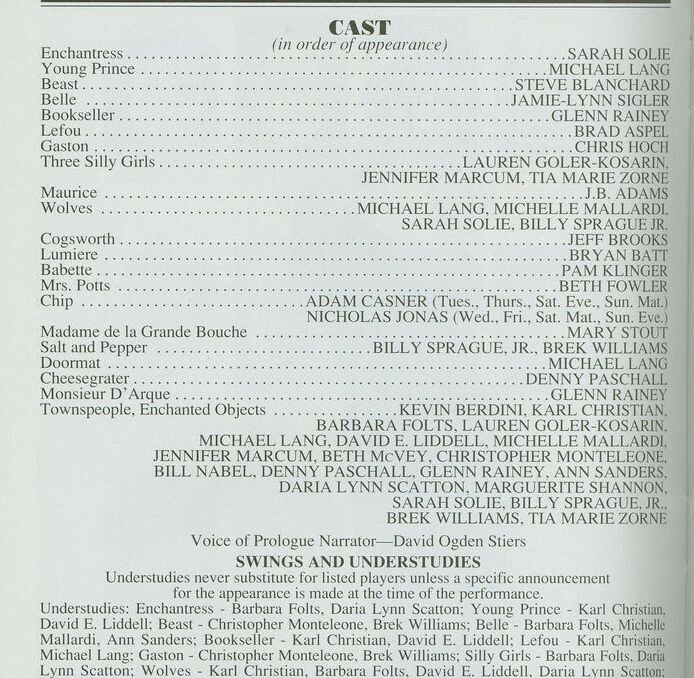 He was 9 years old when he got the role and 10 in the last couple of months of his run. 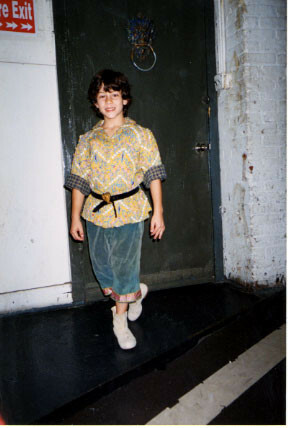 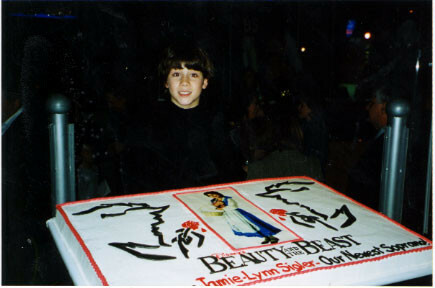 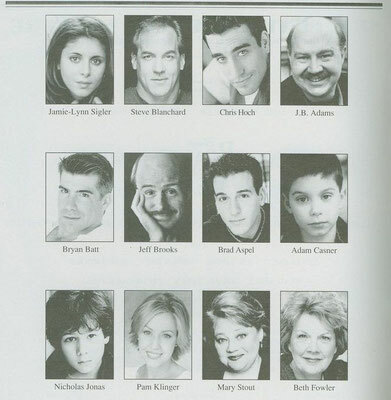 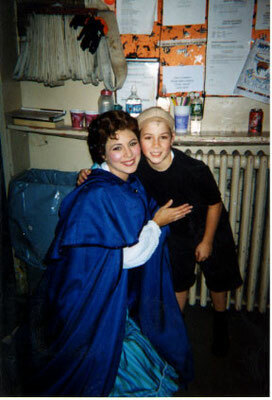 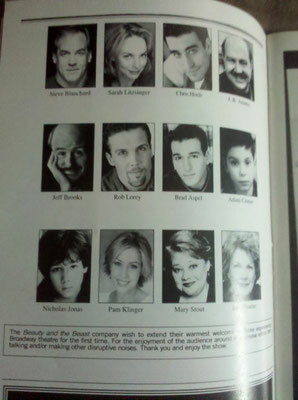 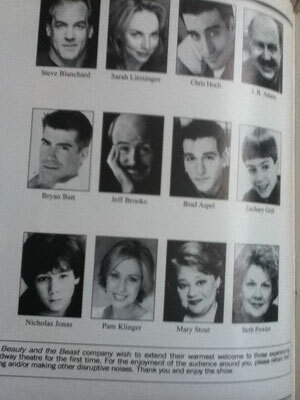 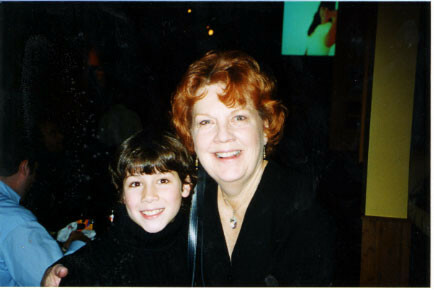 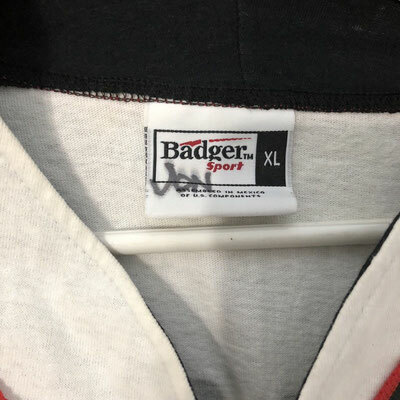 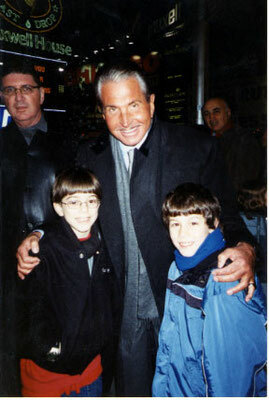 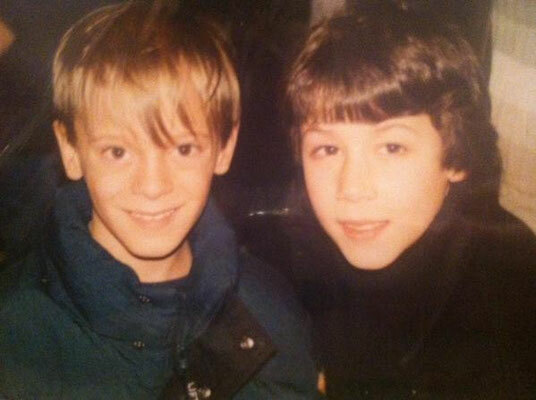 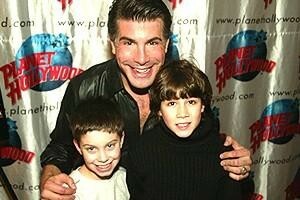 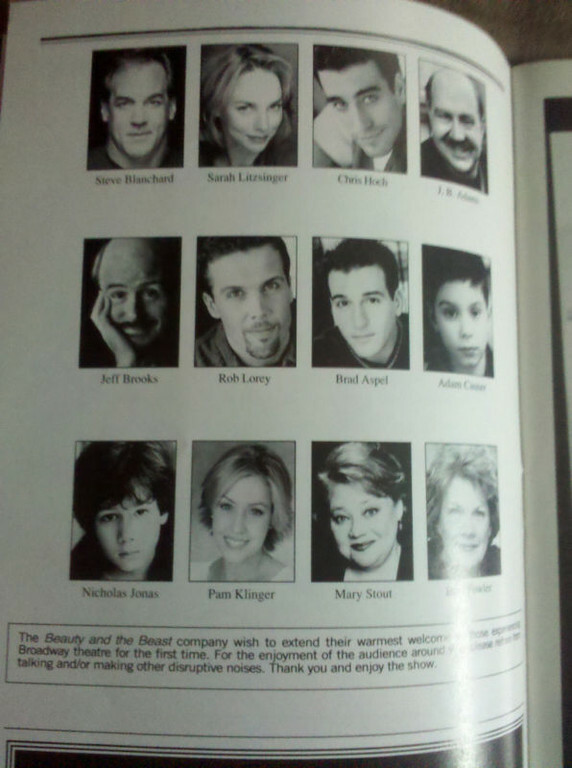 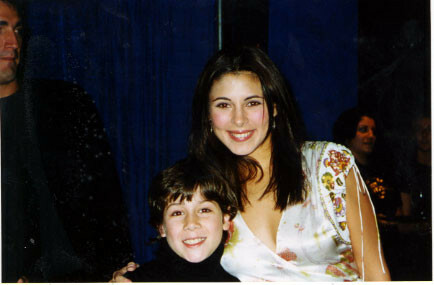 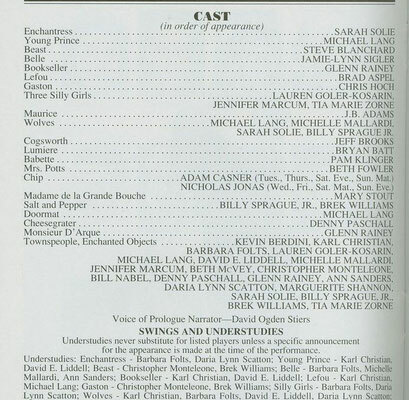 He alternated with 11 year old Zachary Grill in the role in the beginning of his run, and then with Adam Casner later on. 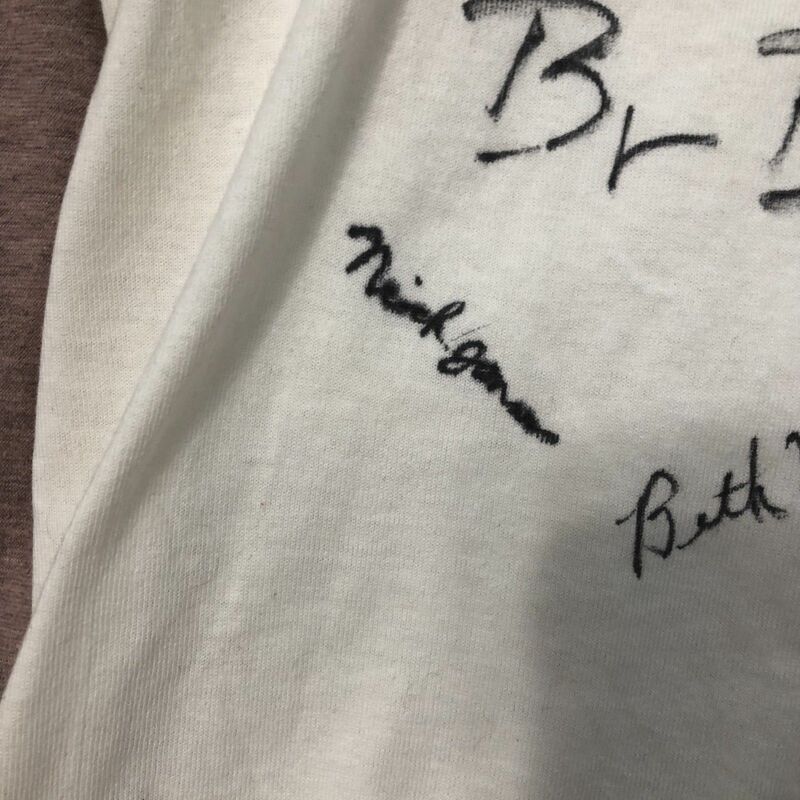 Nick performed with Sarah Litzsinger, Steve Blanchard, Christopher Seiber, Chris Hoch, Brad Aspel, Beth Fowler, and Jamie -Lynn Sigler, as well as many others. 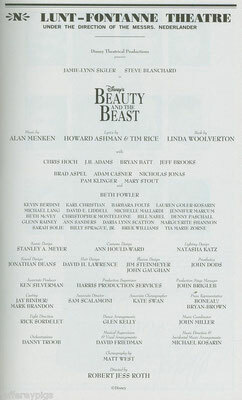 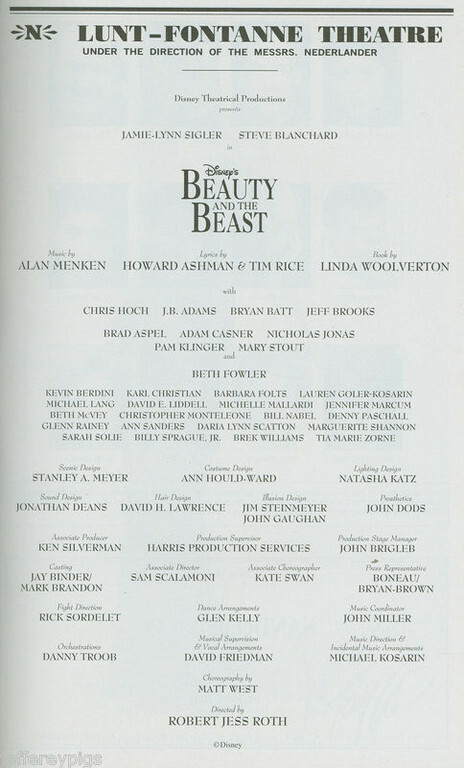 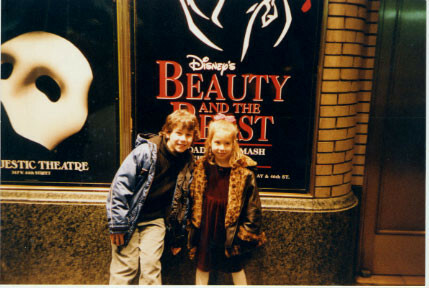 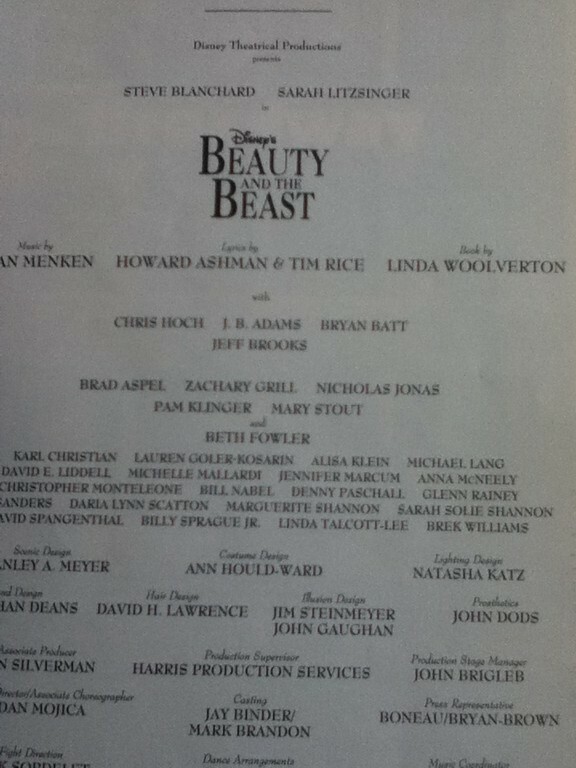 The Broadway production of Beauty and the Beast was an adaptation of the classic Disney movie. 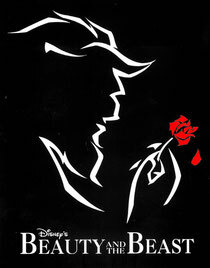 It’s a story about a young maiden named Belle who, in order to save her father’s life, chooses to live in a castle with a prince who was cursed to look like a beast unless the prince can find love.